You can spice up your cards with various classes. There are classes that provide common values for many CSS properties, such as height, width, padding, margin, background-color and box shadow. In the above card everything looks like its just sitting together in the same space. 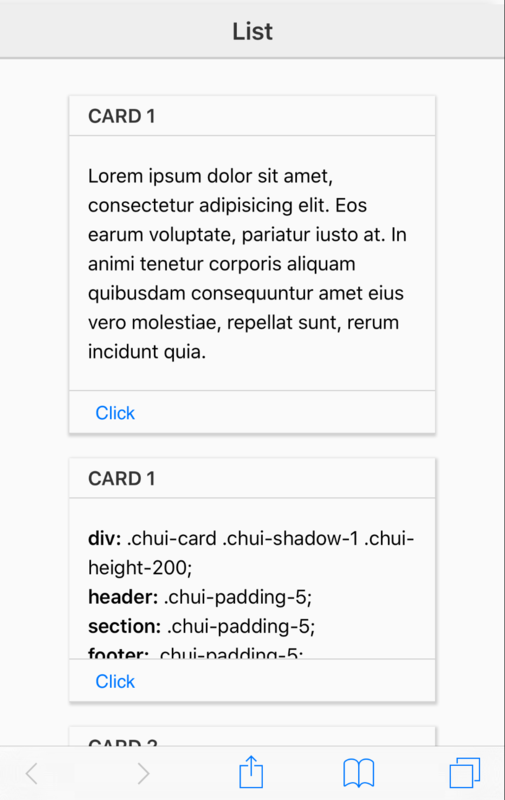 We can provide some clarity about the parts of the card by giving the header and footer a border. 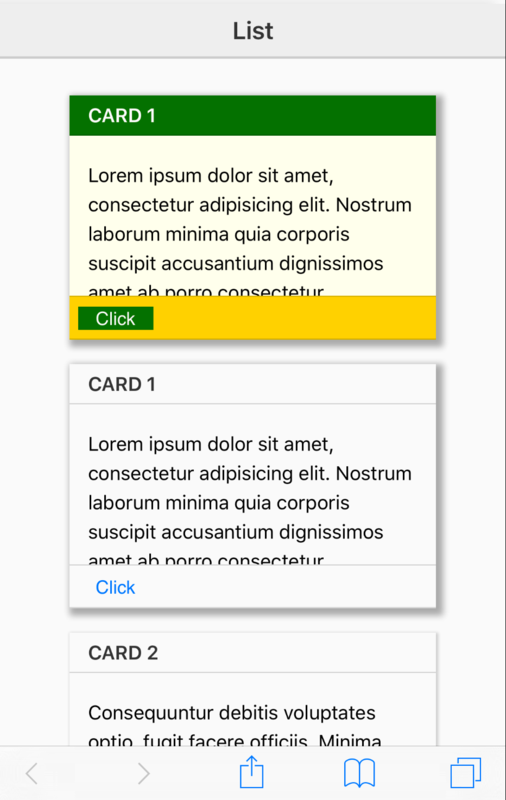 To do this we can use the classes chui-border-top and chui-border-bottom on the header and footer respectively. 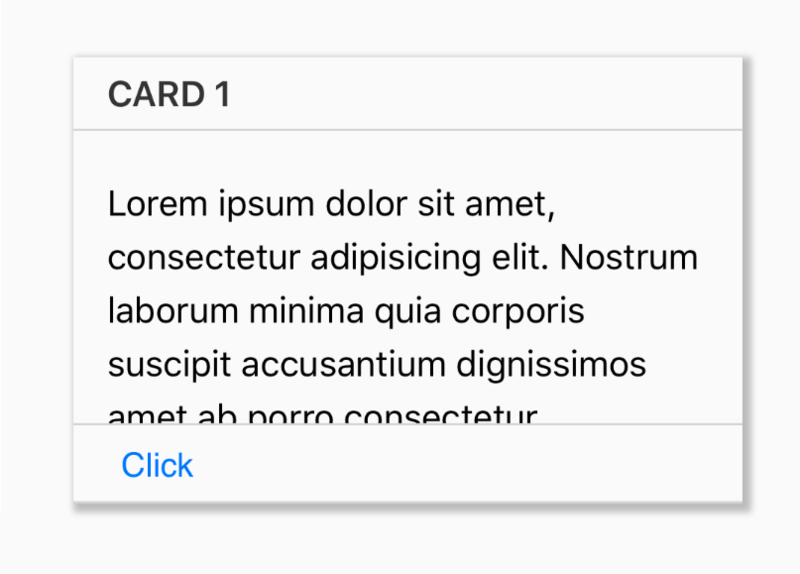 Note: As we did above with custom padding classes, you can define any new classes you need to provide any other styles for reuse in your cards. You are not limited by the ones provied by ChocolateChip-UI. 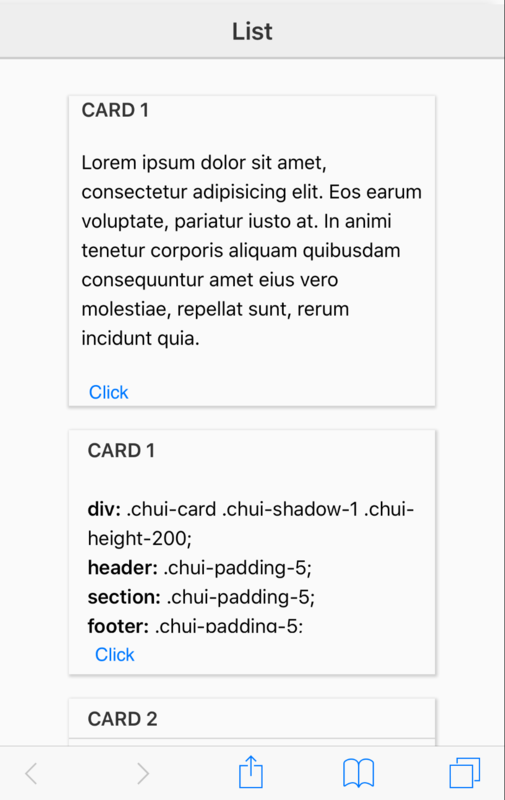 Now that the card has a fixed height, the content in the section tag is scrollable. We can also set the width of our card. 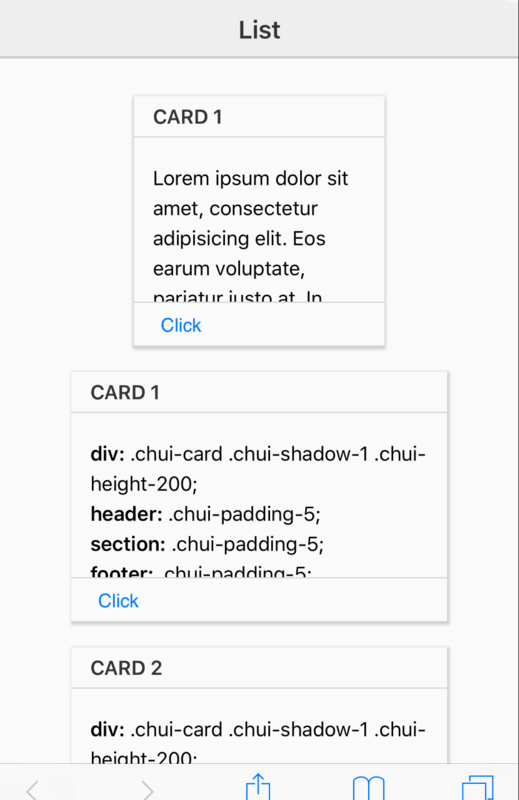 Setting height and width allows use to easily assemble cards into oraganized grids of items. We can also give a card or elements of a card background colors. ChocolateChip-UI provides a number of useful ones, but you can always define your own class with the specific background colors you want. Try out different background color classes on the card, header, section and footer to see what works for you. 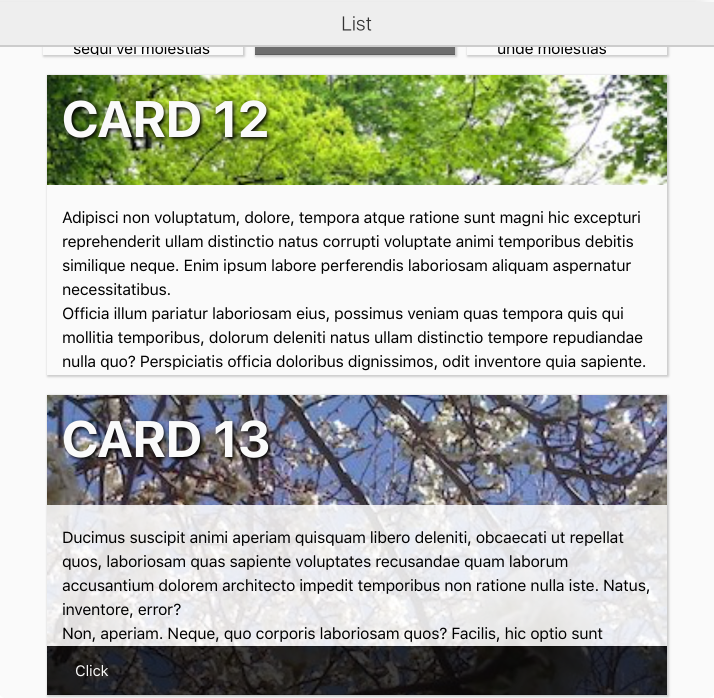 We're going to add some colors to the header, section, footer and button in the footer. 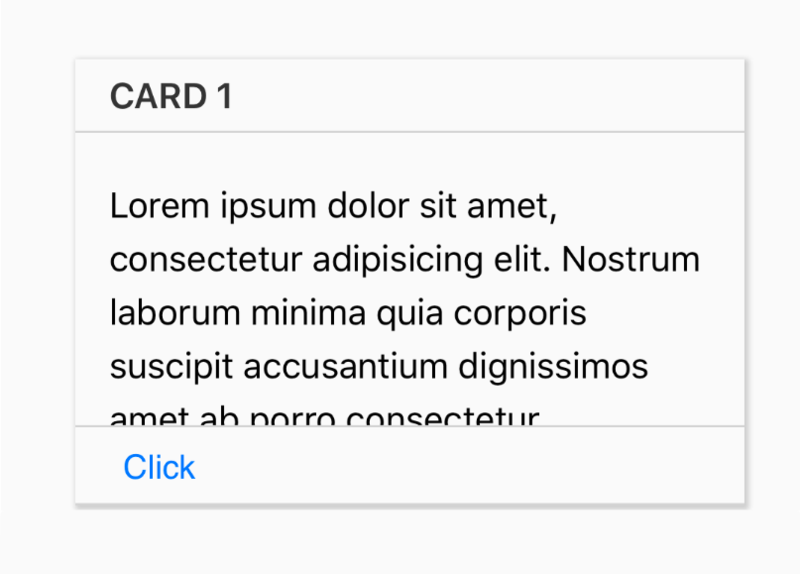 We'll use chui-bc-green on the header, chui-bc-ivory on the section, chui-bc-gold on the footer and chui-bc-green on the button in the footer. We'll use chui-c-lite on h1 in the header and button to make them easier to read. If you really want a more dramatic box shadow, simply derine your own class. Cards have responsive behavior built in. 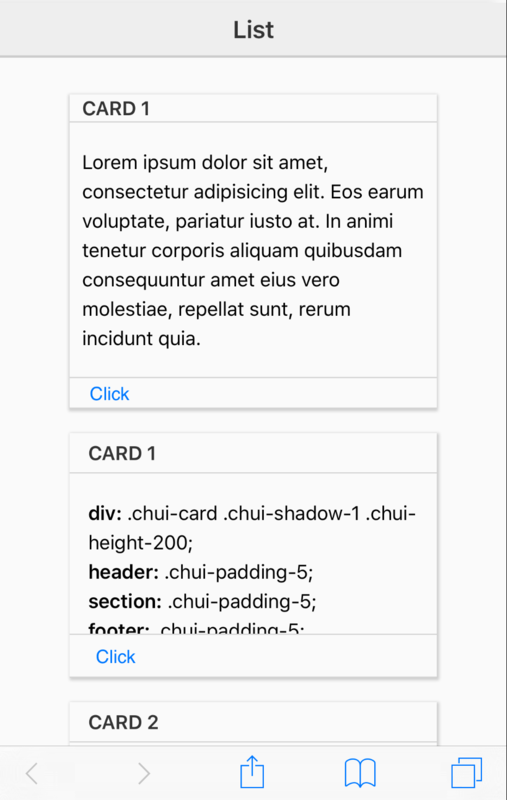 So if you use or define a class with a longer width than can fit on a cell phone in portrait mode, the card will be resized to fit the screen. 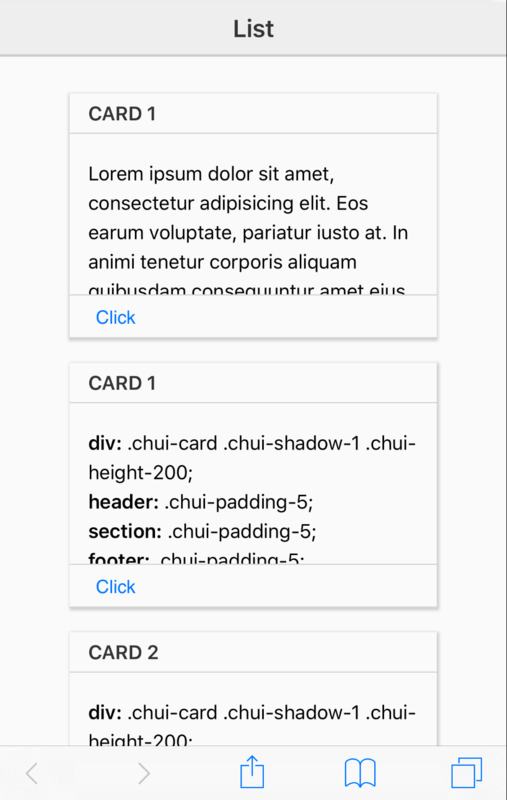 Here are a number of cards defined with the default classes and in some cases a background image applied.